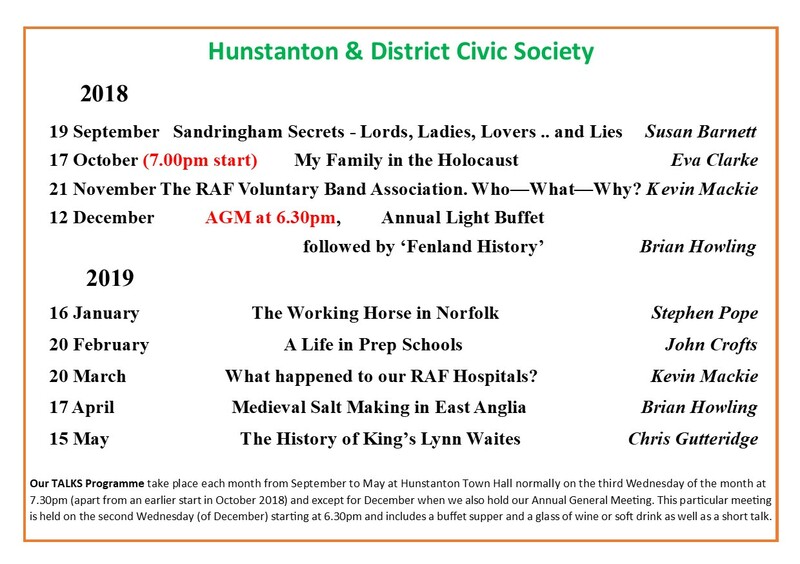 The Hunstanton Civic Society organise a number of events throughout the year including exciting and informative talks by experts on diverse subjects. Future events for your diary are listed below, the events are open to members and the public alike unless indicated by **. 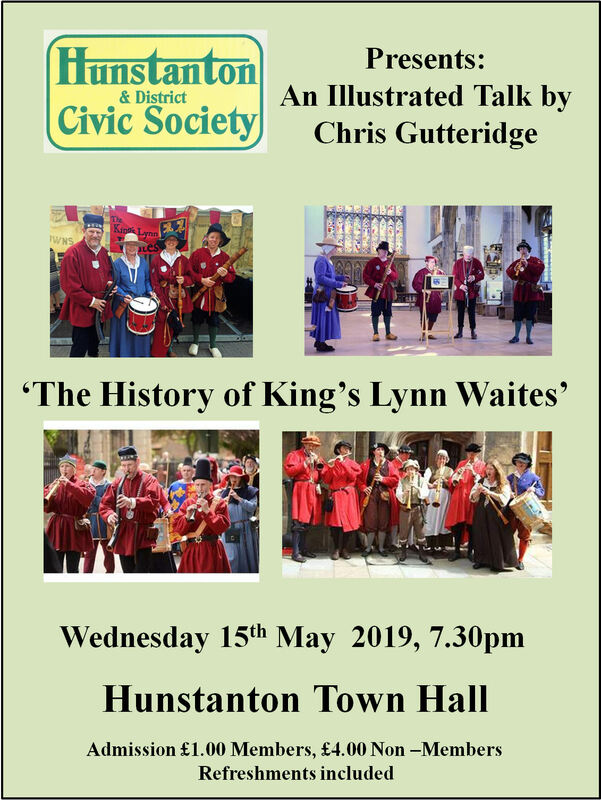 If you would like further information on these events or wish to be emailed when a new event is going to take place please email our Secretary.